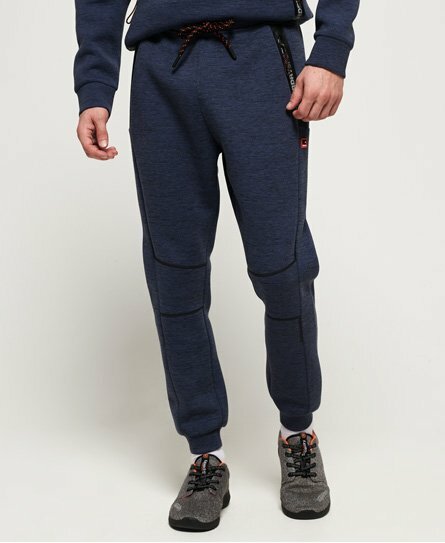 Superdry men’s Gym Tech stretch joggers. These cuffed joggers feature an elasticated waistband with a drawstring adjuster, two zipped front pockets and a single zipped back pocket. With stretch technology, these joggers will move with you to give you maximum freedom of movement. 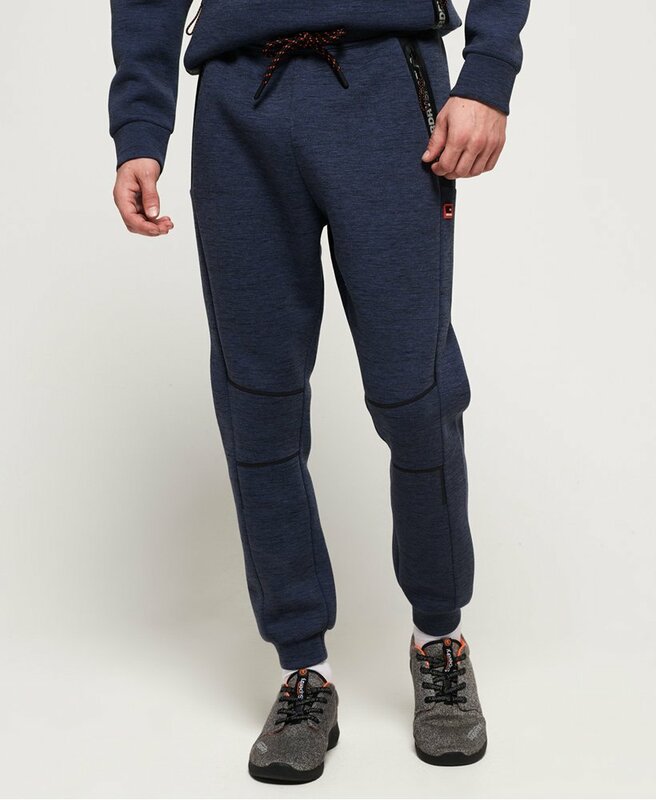 The Gym Tech stretch joggers are finished a rubber Superdry Sport logo badge below one of the pockets and reflective panelling by the knees to improve visibility in low light.